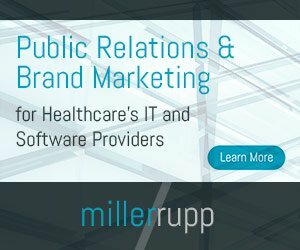 A new report suggests that the average physician lost just as much as would have been gained had he or she received the full meaningful use incentive payment for the last five years — $44,000 – by implementing an electronic health record, which basically makes the whole thing null and void. There’s a caveat, though. The practice that has implemented and is using the EHR, needs to make a few changes to the way the practice runs or else the saving is lost. Somewhat of a no brainer, according to study that’s published in Health Affairs, only 27 percent of practices achieved a positive five-year return on investment by implementing the electronic systems. The trouble, according to the survey, is that practices “failed to make operational changes to realize the benefits of EHRs such as doing away with paper records after implementation of the electronic systems, adoption, as well as dictation, billing services and positions or staff members who were performing services no longer required after EHR adoption. A reduction in the required workforce at the practice after the implementation of an EHR is a common problem. I’ve spoken with several practice leaders who cited it as such, and in many cases, staff whose positions were eliminated because of the software have been re-assigned to other areas. There are only a few practices in which I’ve spoken where employees were laid off because of the systems. I expect this number to grow as more systems come online. Their results of the study showed that the average physician lost $43,743 over five years. Primary care practices fared better than specialists. Practices that saw a positive return on EHR investment increased revenue by more than $114,000 per physician over five years, results showed. In comparison, practices with a negative return on EHR investment saw revenue increase by an average of only $9,200 per physician in five years. “Even when adding federal incentives to use EHRs, the majority of doctors would have lost money,” MedPage Today reports. This is a bit surprising: Practices with a practice management system prior to EHR implementation in place to help with billing functions benefited less on average. Seems like some of the unexpected consequences of EHR use are finally working their way to the top and a bit of the actuality of the situation is coming out; just because a system is implemented, doesn’t mean everything is going to be great. “Wide usage of EHRs was supposed to help doctors increase revenue through improved billing and efficiency gains that would allow them to see more patients per day. However, doctors have complained that EHRs are cumbersome and cause physicians to spend more time documenting patient visits,” the magazine states.